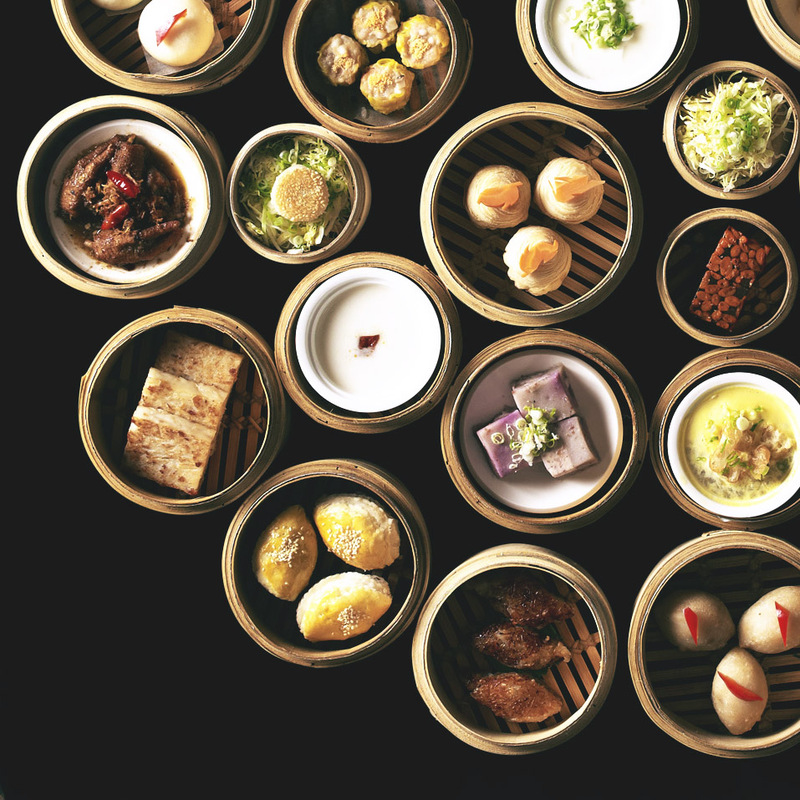 For decades, the food scene in Taipei City has made it a fascinating and delicious place to visit. Fascinating in particular because the food culture is so deep. 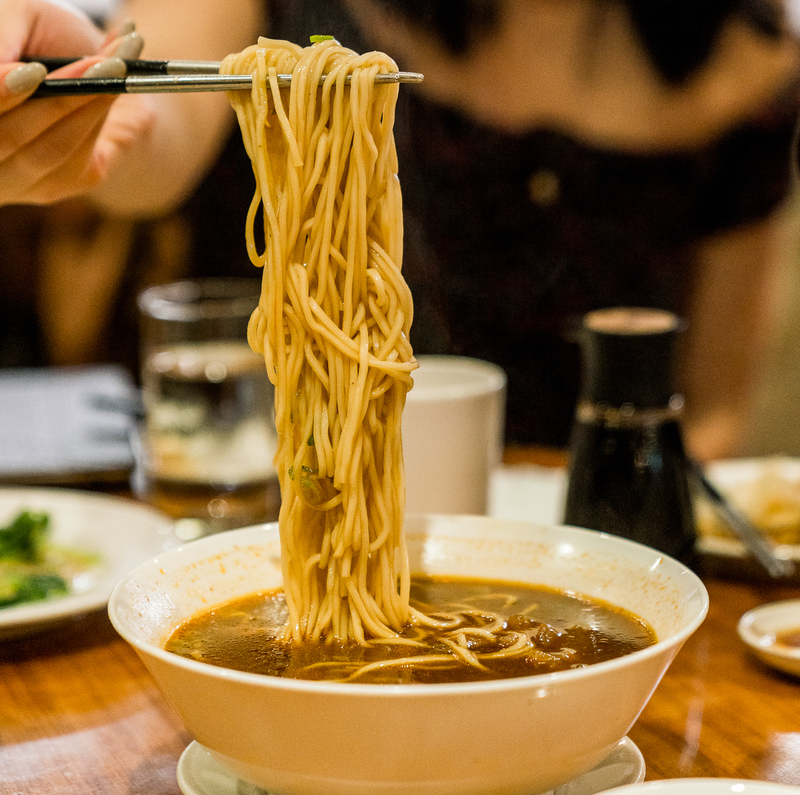 Taipei represents every regional Chinese food style, and is consistently adding international food genres as well—especially high quality Italian and Japanese options. 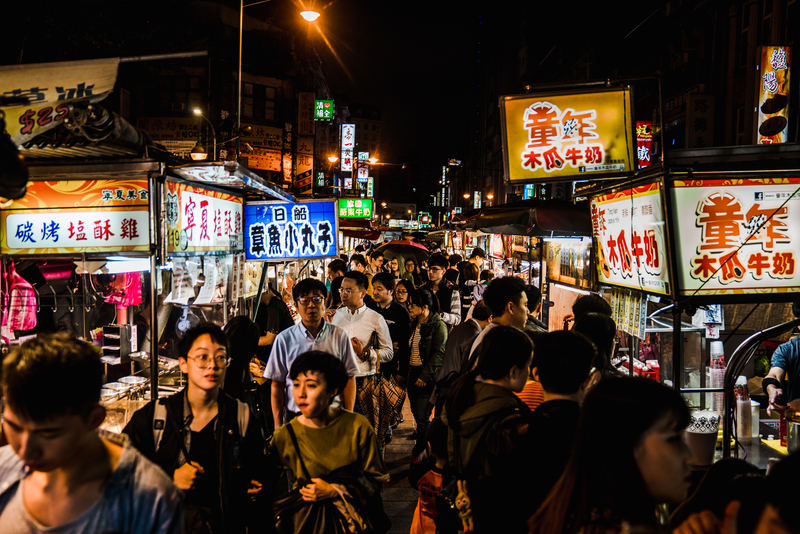 While Taipei’s spectacular street food and night markets have traditionally been the biggest draw for tourists, as the city has grown, the breadth of choices has slowly begun to outpace these familiar food attractions. The last four years have seen the greatest sustained growth in a category relatively new to the town: serious restaurants. Add it all up, and the math is pretty simple. 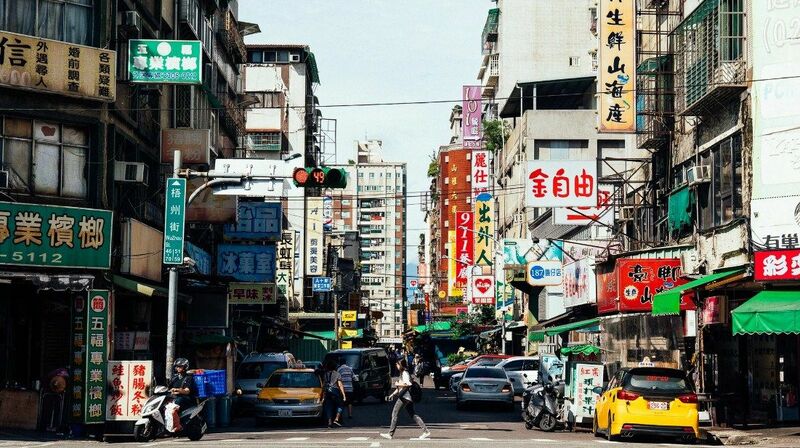 Taipei has now become a globally influential food town, in breadth and depth. It ranks right up with the world’s best. The Taiwanese have always taken their food very seriously. 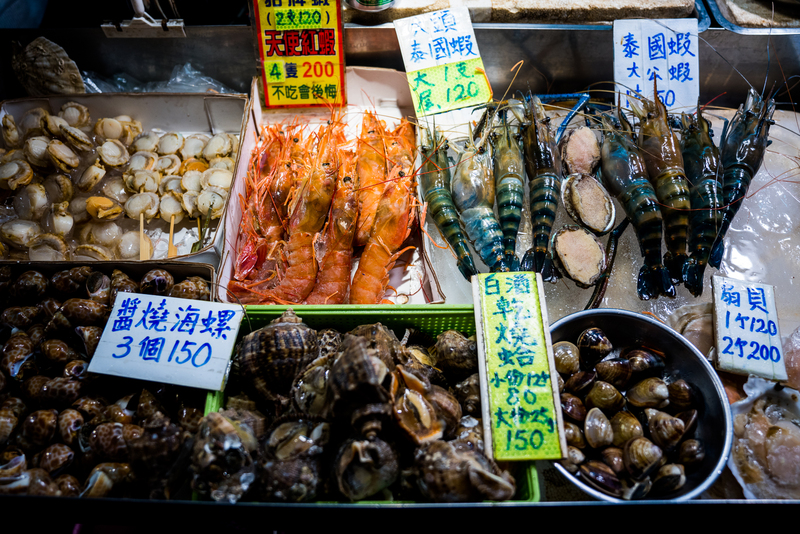 Taiwan is an island, so the insanely fresh seafood has long been front and center. The mountains and diverse biospheres have allowed an ‘everything local’ vibe to emerge—something few countries can boast. 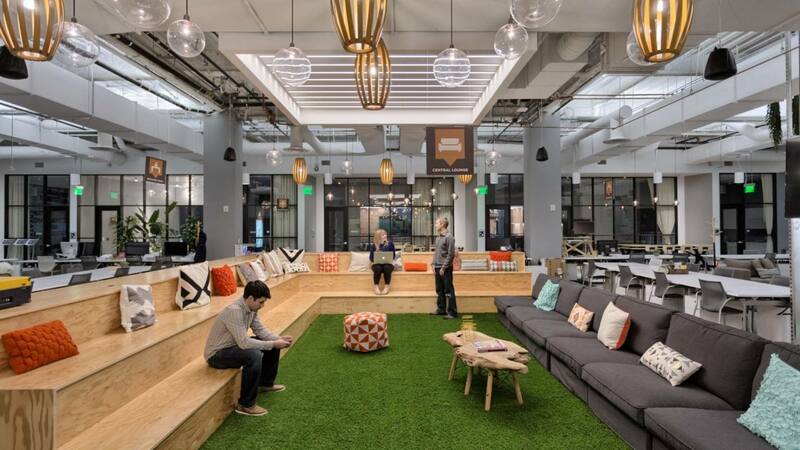 The economic independence and stability of recent years have been an accelerant to a business travel boom, followed by the subsequent waves of tourists drawn to the explosively urbane city of Taipei and the serenity of the nearby hill country tea fields. 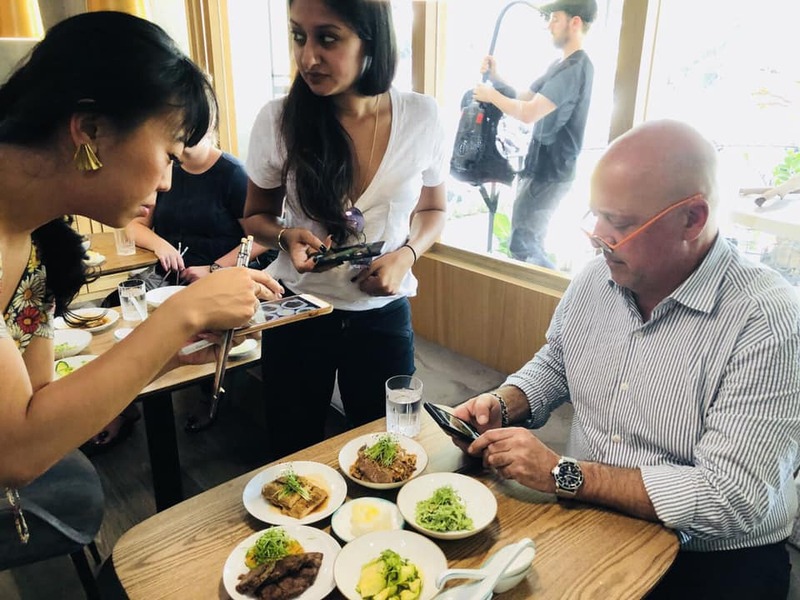 Taipei embraces the traditional Taiwanese idea of having its own culture, and in the last few years, young entrepreneurs have found a way to embrace the cultural implications of defining a new food identity. 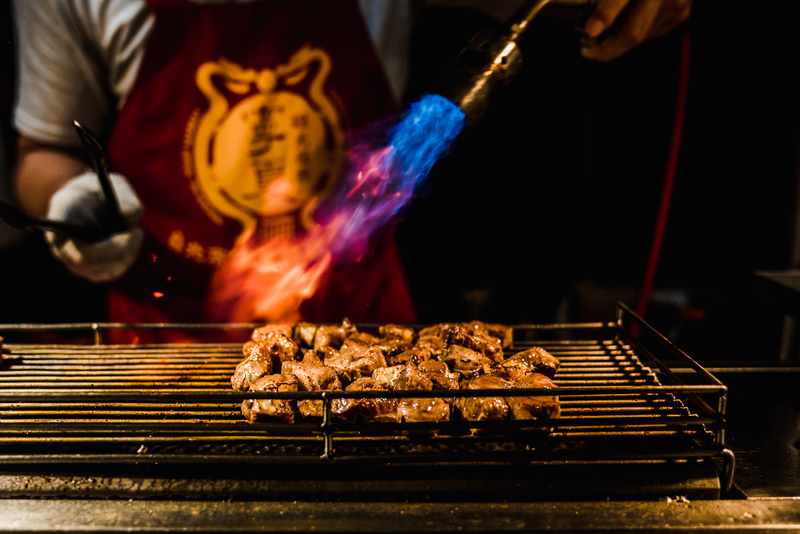 Since opening a business here is easier than in other Asian capitals, Taipei has become a great restaurant town. 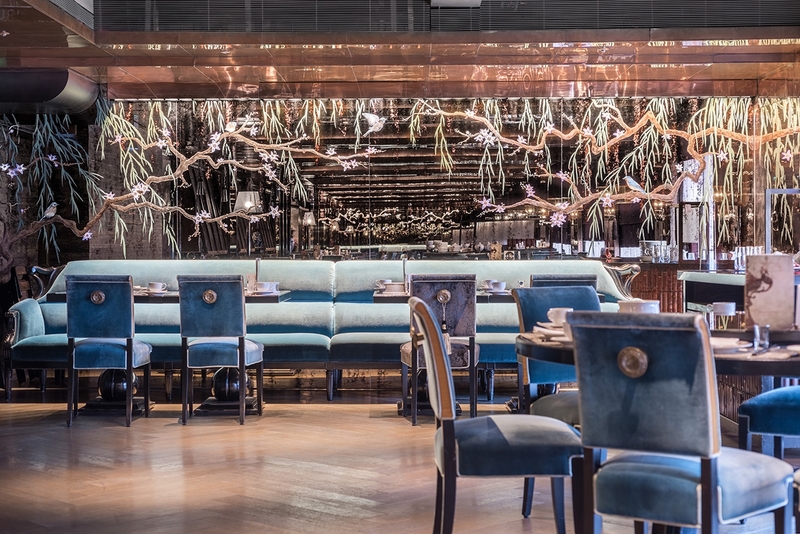 Michelin came last March and awarded a slew of stars to 20 different restaurants. To be clear, I’m not a Michelin abolitionist —more of a reformist. A decade ago, I called for the guide to become less Eurocentric to stay truly relevant. Last October, I had dozens of great meals in Taipei and in the surrounding area. Some were familiar favorite tastes (my must-haves) and others were new experiences. 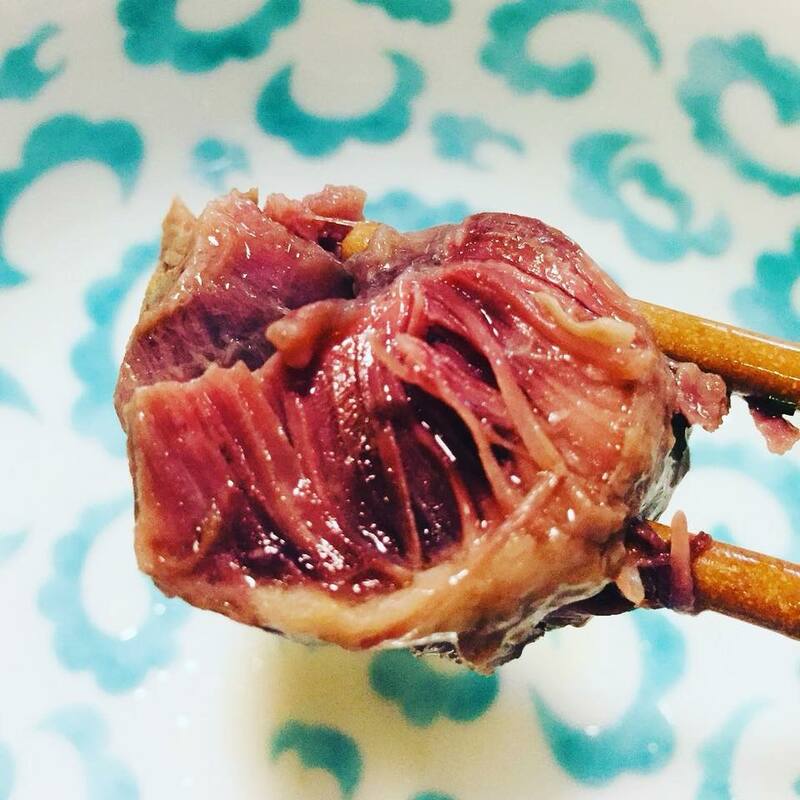 All of them add up to one thing: Taipei, and Taiwan as a whole, have entered a new phase of maturity as a food mecca. 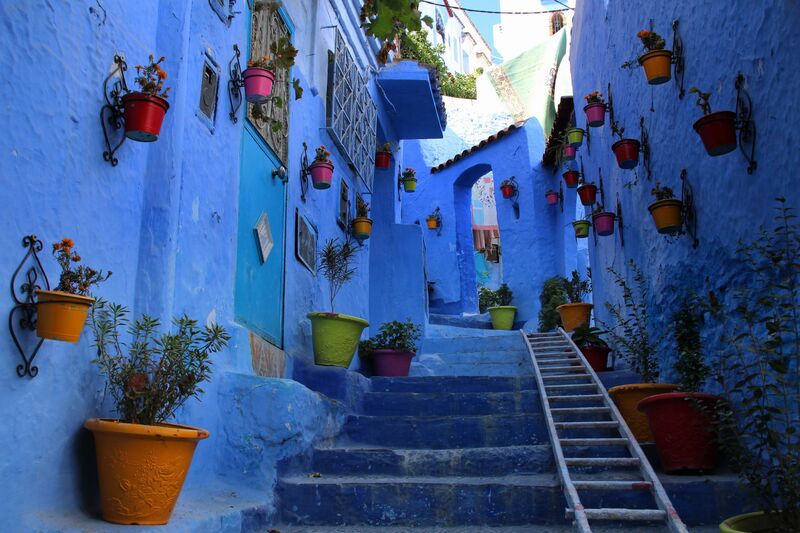 I decided on this trip to turn my decision making over to a new team of travel experts: the team at Journy, because everyone could use a little help getting pointed in new travel directions. I told the folks at Journy about my musts—street food, mango ice and some classic XLBs—and what I was most interested in trying: a few of the hot new restaurants I’d heard so much about. They also suggested I try a hotel I hadn’t stayed in before: the Palais de Chine. The stunning hotel right near Ximengding is just a short walk from the Taipei Railway Station and a quick cab ride can get you to the Taipei 101 tower. Plus, perched on its top floor is one of the best Chinese restaurants in the world. Sold. I can’t go to Taipei without a few visits to Din Tai Fung, the OG location on Xinyi Road. 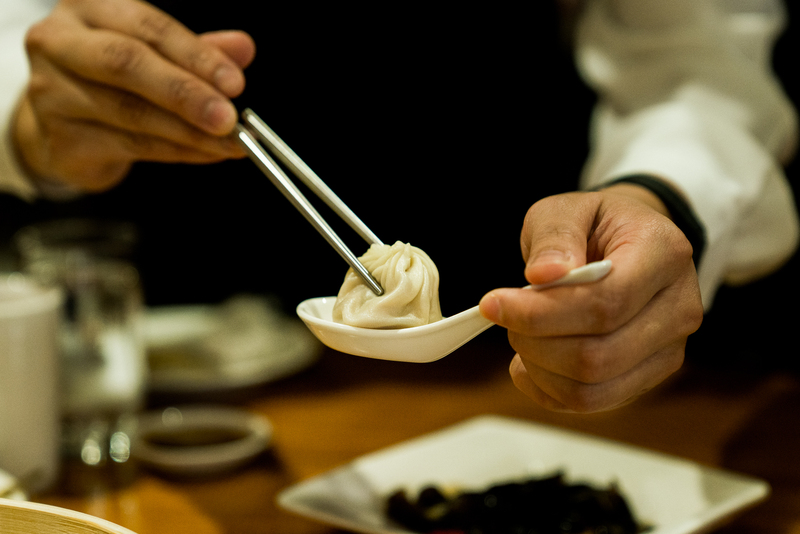 DTF is a restaurant chain famous for starting the international soup dumpling frenzy. It’s worth the frequent wait for a table. After securing a seat on the fourth floor of the narrow building, the ordering for me is pretty easy. I love the classics. The pork and truffle xiao long bao arrived quickly, decadently aromatic, stunningly textured, each one identically shaped and sized. They disappeared as quickly as I could get them in my mouth—just in time for the presentation of pork soup dumplings accented with crab roe. Cold wok tossed eggplant with chili oil, chicken soup and fried rice followed. Thanks to a friendly tip from my lunch companion, we got our fried rice ‘jiao’ style, which means the rice spends an extra minute in the wok to eliminate the moisture. That also provided a gorgeous platform for the boneless fried pork chop that came sliced and nestled on top, the juices dripping down into the rice—a new ‘must’ for me at a restaurant I thought I knew everything about. I probably have a bowl of beef noodle soup everyday in Taiwan. It’s one of the country’s national treasures. Thanks to the folks at Journy, I discovered one the best bowls of beef noodle soup I’ve tasted in years at Li-Hsiang Apartment. All the noodles, both thin and thick, are hand cut for each serve period. There are only a few menu items. One is a rich deep bouillon served simply with noodles—with pickled mustard greens and other goodies available for mixing in, of course. There is also a deeper, spicier soup that comes with duck blood cake. Both versions can be ordered with a staggering array of meats, vegetables, and pickled vegetable to add to your bowl. The short menu expands as the diner desires because the combinations are staggering. Bottom line: for me it’s all about the soup and the broth, both of which in their simplest form are purely perfect at this small intimate neighborhood soup shop. Taiwanese seafood is spectacular— insanely fresh and voluminous in scope. 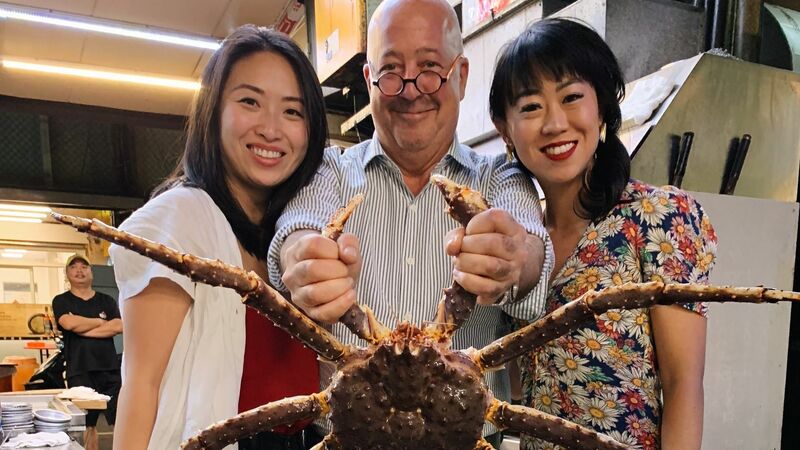 The cultural expertise in handling everything that comes out of the ocean is deeply evident at a large number of restaurants, street side eateries and in seafood stalls in the night markets. The Journy team suggested I try a teeny little 30 seat café called 89 Crab. The dining room is ‘inside’, while the kitchen is on the street, covered with a small awning. The menu was impressive. So were the live tanks holding a variety of fish and shellfish—best eaten immediately after they’ve been dispatched. I ate with a large group, but you could dine there as a solo diner and not miss out on much. Live king crab came several ways, including grilled legs and a hotpot from the body and claws. Salt roasted snails, sauteed daylilies, fried oysters with white pepper, seaweed and water spinach omelet, and steamed whole fish rounded out our meal, each plate better than the next. Fried seafood is incredibly difficult to pull off the right way and 89 Crab knows how to fry seafood. I had never eaten such tender and perfectly fried cuttlefish in all my years of dining. The thin mantle of what I reasoned to be salt and rice flour provided the perfect crunch, and the thin slices meant the flesh was crispy, but without the overly dominant fry oil taste that can easily overwhelm the subtle flavors of the cuttlefish. By the way, they also make a killer pork with garlic sauce and a delicately smoked cold whole duck for anyone not into seafood. Everyone knows I love night markets, and my advisors at Journy suggested we head to Ning Xia Market sitting on the street of the same name. It’s an older market that’s gotten quite a face lift since my last visit a few years ago. The market’s always been popular with Chinese and Taiwanese tourists, and I was pleased to see so many faces from around the world walking and eating and taking in all the action. 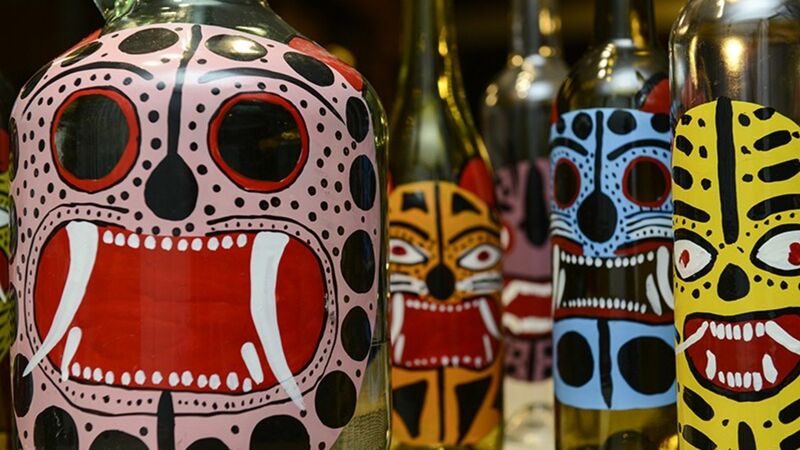 There are hundreds of vendors, and you really can’t go wrong at any of them. 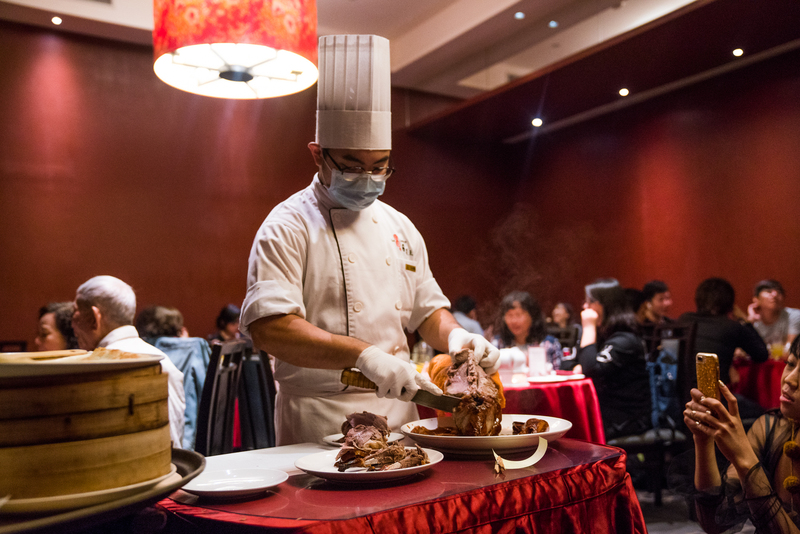 Don’t skip the hand peeled roasted water chestnuts, the oyster omelets, the grilled meat and roasted poultry stalls, or the classic lu rou fan (minced braised pork over rice) served in several stalls with a poached duck egg yolk. I finally got to try the bamboo shoot and naked dumpling soup that I’d been looking for on my last trip too. It’s ginger spiked wholesomeness was comfort food heaven. 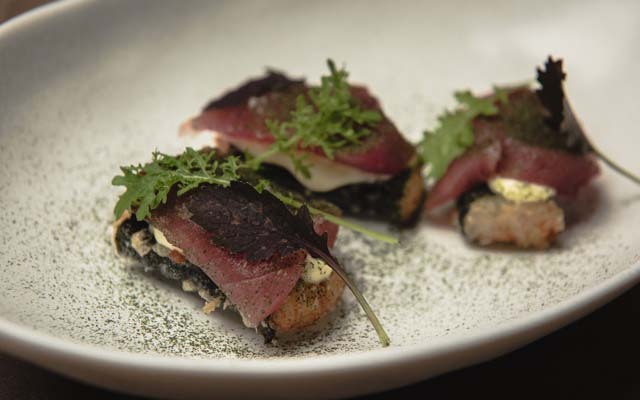 Having gotten my fill of many of my favorite foods in more casual settings, I was eager to dine on the highly sophisticated fare at several of the recent Michelin designees that I had never visited. Journy handled all my reservations for me before I ever left Minnesota, so I was pretty stoked to say the least. Longtail is restaurateur Henry Hsieh’s newest eatery. Curtis Mayfield is on the playlist and the menu features some of the most gastro-pub focused found in the city: fun and irreverent but very focused, with every dish intelligently thought out and stunningly plated. Longtail’s tasting menus are compiled mostly from their a la carte menu items, which means all diners can enjoy the best of both worlds. Kampachi arrives with a garnish of its own fried skin. Toro is minced, seasoned and rolled in a small ball. There’s a beautiful tartare and a lovely edible fish ball pun that’s a loving nod to one of the most traditional foods in the Taiwanese culinary canon. Compressed local strawberries and tomatoes come with a local goats milk cheese. House made ricotta on grilled bread comes with local figs dripping in the region’s famous honey. Shrimp sliders make for an elegant and playful tempura, and seared beef tenderloin arrives with all the elements of a hot pot broken down around it. The new and the old Taiwan, the Italian, and the Japanese co-mingle and make sense in this magical restaurant that exemplifies everything going on these days in Taipei. A tofu mousse comes with chorizo and Szechuan peppercorns. Fresh sea urchin perches on crispy rice, with yuzu foam and shiso. 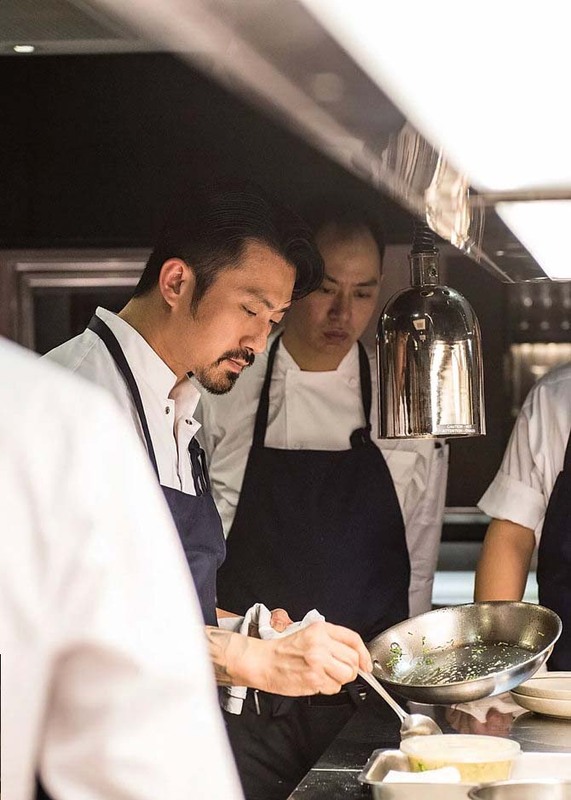 There is a swordfish floss bahn mi and a wagyu tartare on scallion pancake that may have been one of the best bites of the night—if it weren’t for the other remarkable dishes. Those other dishes are available on a pair of different tasting menus that diners can choose if they forgo the compelling standard menu. Stewed oysters arrived barely wilted, dressed with mint and chilies. 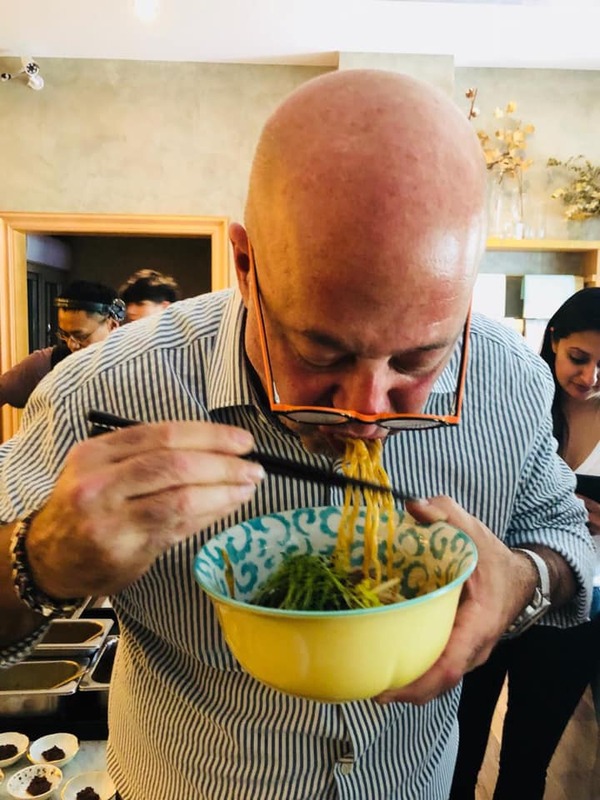 Steamed tile fish is basted in hot oil until its scales are as crispy as potato flakes, then nestled in a puddle of parmesan broth and seasoned with lemon: the perfect marriage of classic Chinese technique with a nod to the Italian food renaissance the city is experiencing. Don’t skip dessert. The house specialty is a puffy crisp of pandan-coconut french toast served with ice cream and soy caramel that was so perfectly executed I ordered a second one just to share with my guests. 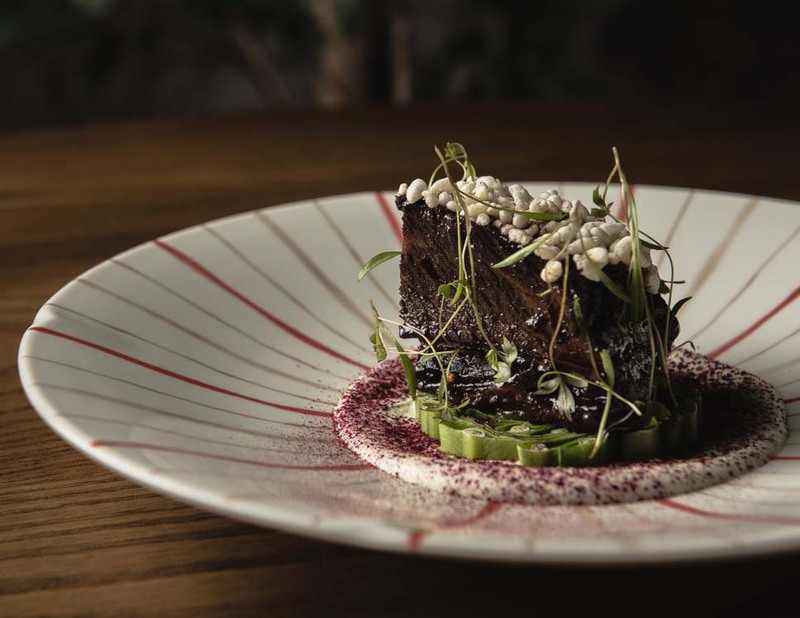 MUME is a glorious homage to Taiwan’s world class market place for locally sourced ingredients, shot through the prism of the owner’s days cooking in Scandinavia. The name itself is a giveaway. Mume translates as ‘plum blossom’ in English, but the story gets better. 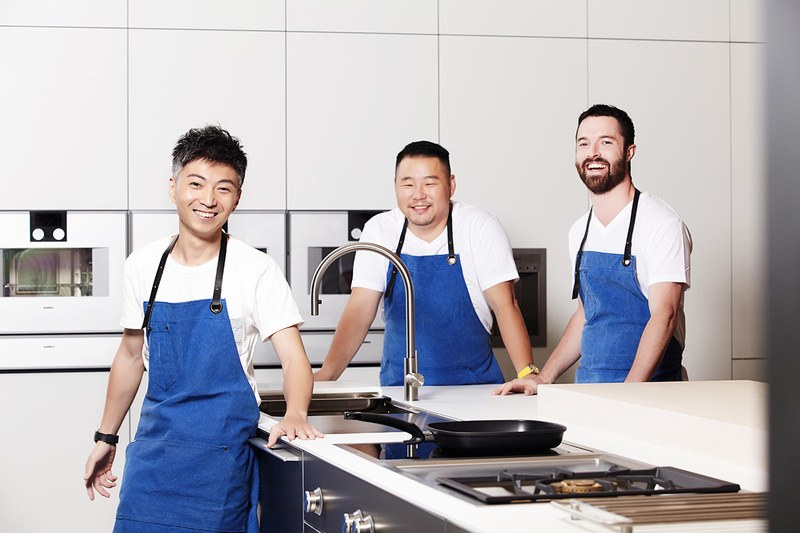 Chef Richie Lin is from Hong Kong and chef Kai Ward is from Australia. Those two met at Quay, one of Sydney's top fine dining restaurants. Ward left there and met American chef Long Xiong at Noma. The three musketeers decided to open a place together and could have opened anywhere in the world…but they chose Taipei because—wait for it—they felt it offered “the greatest diversity of foods to cook with” according to Lin. 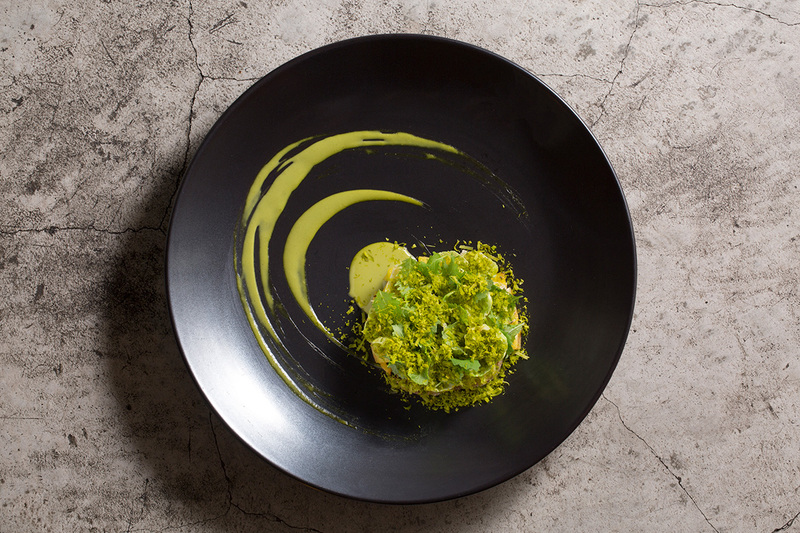 Nixtamalized quinoa tostada becomes the palette for a wagyu tartare teamed with a clam mayonnaise. The entire dish reminded me of one of my favorite dishes in the whole world: vitelli tonatto. Taiwanese caviar comes as an amuse tartelette, along with fresh peas with lovage oil and kumquat ricotta. Twenty-four hour sous vide and seared short rib is served with a housemade koji (think miso, but better). A brûléed chicken liver parfait arrived with rye sourdough as a bread course, teamed with smoked beef fat whipped into butter. Emperor’s grouper was poached and served with herbs, fish consomme and a healthy drizzle of MUME’s favorite seasoning, wild pepper oil. Desserts simply defy a flavor description, because frankly, the ingredients and technique combinations are so unique. Peach and guava granite come served over preserved La La Mountain peaches with peach cream and coffee oil. A Taiwanese 72% cacao sorbet is created using no dairy at all, accompanied by nut crumble and honeyed compressed local longan, a fruit similar to lychee. Game over. Those two 1-star Michelin experiences already had me swooning. But if you love Chinese food as I do, traditional and historic in all its glory, you have to visit the only 3-star restaurant in the city, Palais de Chine. Housed atop the superb Palais de Chine Hotel, this warren of private rooms is arranged in a way that you might not see another customer if your group is larger than four people. It should be this way, so you can take advantage of what may have been the best meal I’ve had in years–not just Chinese food, mind you. I’m talking anywhere, anytime, any cuisine. Chefs Ken Chen and Matt Chan have 50 years of cooking experience combined and they execute the classics in stunning ways. 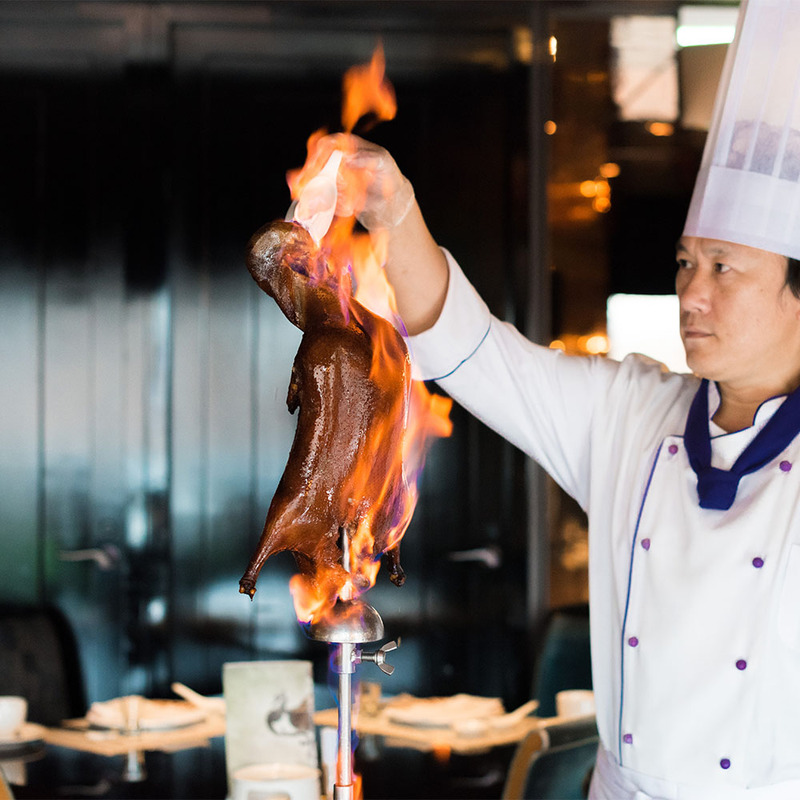 Peking duck comes as a three week old bird, carved table side—so meltingly tender it simply disappears on the tongue leaving only thin shards of brittle skin in your mouth. Chicken shumai come crowned with thumbnail sized sweet braised abalone. Char siu, bbq pork, is taken from only one muscle at the top of the hog’s neck, a gift from the gods. Then there was the soup from the baby duck bones, pig forehead tendons braised and then wok seared in XO sauce, chicken thigh twice cooked ma la style, hot and numbing, and their now famous egg custard tarts… bite size, cooked to order… and the perfect ending to what was a 23 course blitzkrieg of flavors and techniques. If you love classic Chinese food, this is a restaurant that can’t be missed when you are in Taipei City. 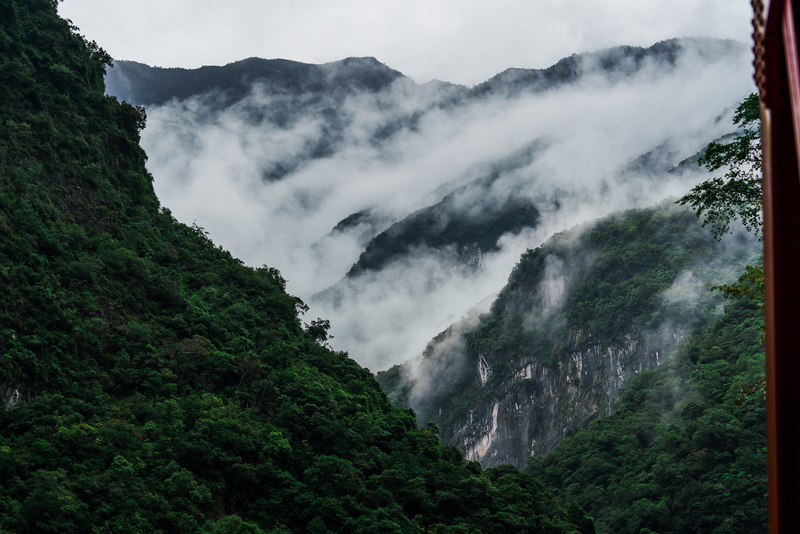 On my last day I headed a few hours out of Taipei up into the mountains to Taichung. My first stop was Guguang restaurant and fish farm. Dozens of species of fish are raised there, including many species of sturgeon. Guguang’s caviar production has ramped up as well. The quality is superb. Bright and saline, earthy and possessing— that superb ‘pop’ that I need from caviar when I press it up to the top of my mouth with my tongue. After a caviar tasting, we had some remarkable sturgeon sashimi, sturgeon hot pot, sturgeon congee, wok tossed sturgeon in XO sauce and soup made with the sturgeon head and garnished with angelica. Can you feel the sturgeon theme here? There is plenty to try at Guguang that isn't sturgeon dominant, but their sturgeon tasting menu is so well curated and prepared. After all, how often do you get a chance to do a vertical prehistoric fish tasting? I finally got to try Gubami in Taichung City proper. The teeny soup house is owned and operated by Lanshu Chen’s team from Le Mout, one of Asia’s Best Restaurants. Her husband makes all the bowls and service pieces for the restaurant. They do four turns of their eight seats each evening. That’s 32 bowls of soup, with a fleet of teeny pickled dishes and one bite treats preceding and accompanying their two soup options. Once seated, the following little treats arrived quickly: a slice of braised beef with “beef noodle” hollandaise, fingers of spun daikon radish with lemon and olive oil, a smoked pig fat and pea salad, ribbons of tofu skin with chile, and a teeny spoon of braised beef with tripe. I was so happy, you could have peeled me off the ceiling. And my main course hadn't even arrived yet! 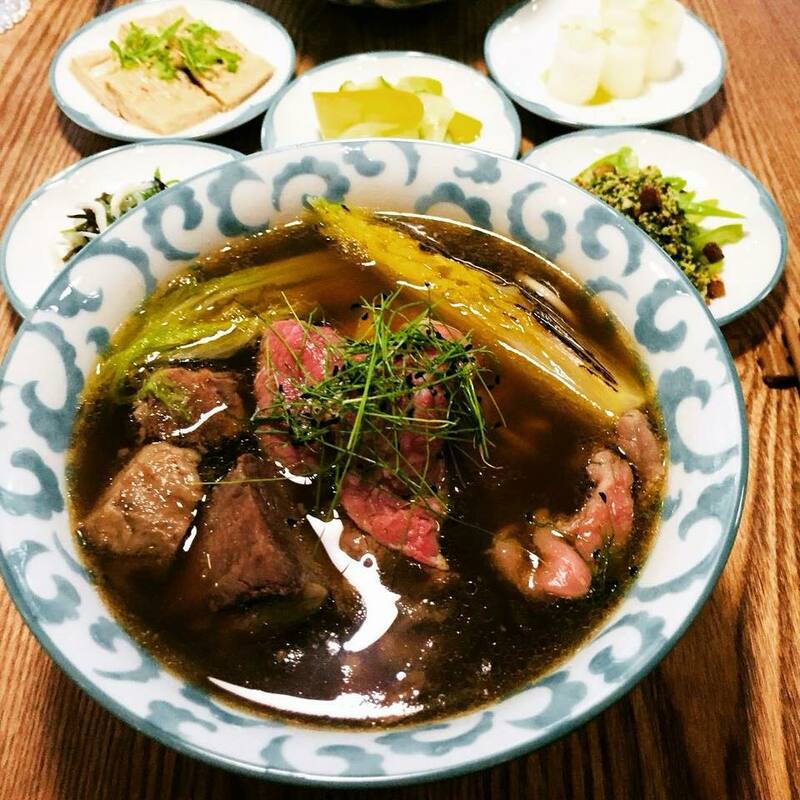 Like Li-Hsiang, they do the two traditional styles of beef noodle soup: classic deep bouillon style broth with a thinner noodle, and a thicker noodle in a spicier and richer broth. The difference is that all the beef here is A5 wagyu and you have a fleet of some of the world’s best cooks focusing solely on a handful of diners and their two day process. The first soup was made with braised wagyu shin and crowned with paper thin sliced A5 ribeye, with the chewiest thin noodles I have ever eaten. The broth was deep and rich, but its color was light and the clarification process was perfect. It was served with lemon confit relish and I slurped it down in five minutes. The next soup was made with braised short rib, had thick noodles and plenty of their housemade chile condiment in a sturdier broth—another mindblower. After being knee buckled and humbled by the soup and noodle quality at Li-Hsiang, I was flabbergasted that there was a whole other level of sophistication and finesse in the beef noodle soup pantheon. As a little surprise, Chef Chen sent me a third bowl of dry szechuan style noodles with housemade three year old chile bean paste. And yes, I ate all three bowls of noodles, it was that good…. Of all the places I visited in Taiwan, I think of this one the most when my mind is drifting during the day. For bonus points, before I left, Chef Chen showed me the secret door to the speakeasy. Go up to the bookcase and start playing around with what’s on the shelf…a secret door opens, a teeny staircase appears, climb it and you’re in a bespoke whiskey bar that is designed for serious playtime. Love at first sight. Twenty years ago, when I first visited Taipei, I ate only one meal in a restaurant. All the rest of my meals were taken in street stalls and markets, soup counters and homes. The food was spectacular. The difference two decades later is profound. Over the years, the food in all those small eateries and street stalls has only gotten better and more popular, and there are more choices than ever before. Layer on a booming restaurant scene, both progressive and traditional, and you might just be seeing the genesis of the next big globally dominant food city.